Unlike most of us SKM had only one employer all his working life - he started his working life with Maharashtra Hybrid Seed Company Ltd (Mahyco) in the early nineties. 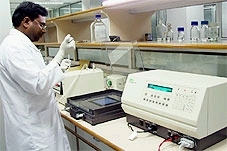 He was charged with setting up India's first private sector Biotechnology Research Centre in Bangalore for Mahyco. It was an arduous task to set up something from scratch in an alien place where most people spoke Kannada (a language he did not know) and knew very little English. But SKM didn't let these issues bother him - he went about his task of identifying all the equipment required for this new lab, importing the equipment from all over the world and training assistants to work on his 'gene-tinkering' plans! Once he had set up the Lab he spent 18 hours a day working in the lab and most of the assistants who worked with him marvelled at where the little man got his energy from. 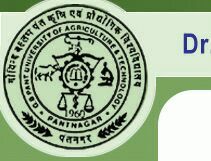 As Research Manager of Mahyco, SKM worked mostly on trans-genic plants with the aim of introducing fungus resistance and bacterial resistance genes into Tomato, brinjal, cotton and other plant species. One of SKM's passions was orchids and he spent many hundreds of hours (outside of his working hours!) hybridising orchids and collecting orchids from as far afield as Thailand and the Himalayas. 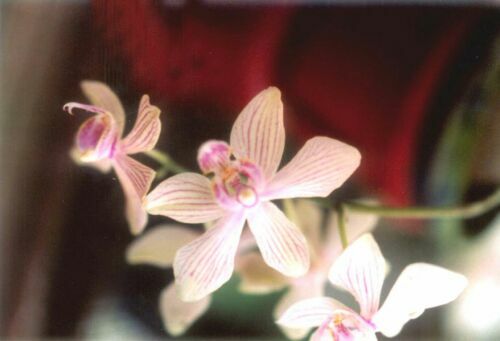 Click here to view pictures of his Orchids. 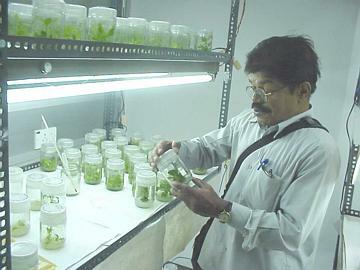 When Mahyco decided to set up a central Life Sciences Research Centre at its headquarters in Jalna, Maharashtra SKM moved his lab to Jalna where he was based for the rest of his life. For more details of SKM's work at Mahyco please click on the 'Tributes' link on your left and navigate to the writings of his colleague Dr. Usha Zehr Barwale, Joint Director Research of Mahyco.